What should you feed your koi fish? 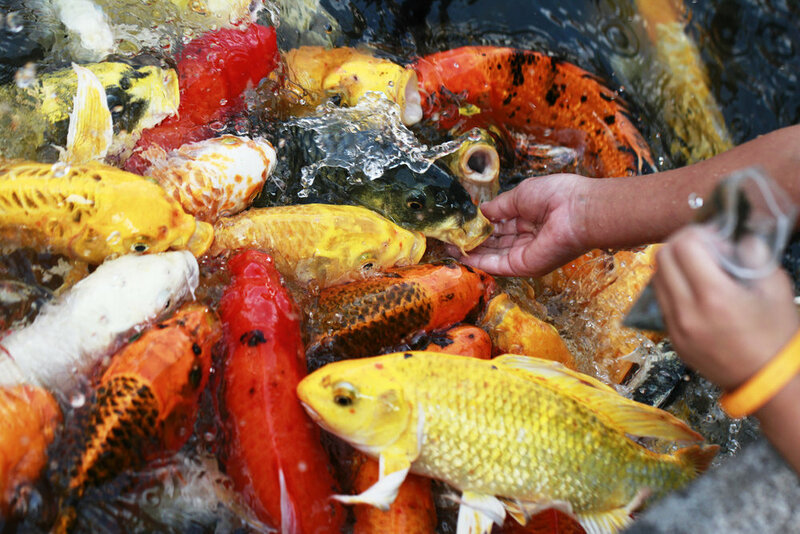 What should you feed your koi fish? It depends on their age, size and the season. And then of course, there’s always how much you’re willing to spend to get the good stuff. Generally, you can feed koi anything you can feed goldfish. 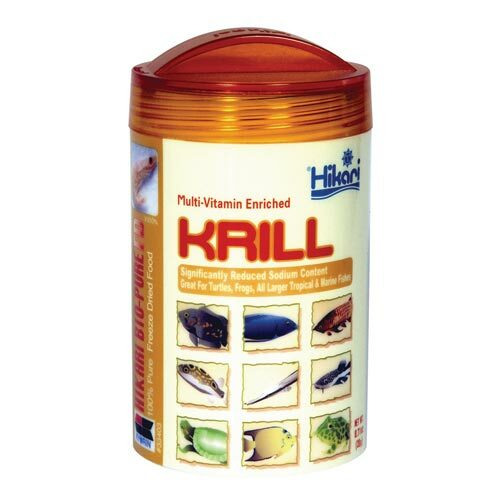 Both fish species are technically carp and will eat just about anything organic–koi food, vegetables, krill and plankton, breakfast cereal, dead leaves. You name it. They’ll eat it. If you’re buying koi food, things are always cheaper when you buy in bulk. Some formulas boast color enhancing properties while others are fortified with vitamins to promote good immunity in your koi fish. Beyond that, it’s often matter of preference. It's said that koi have a memory of around three minutes, yet they can learn to recognize their feeders. Talk about selective memory! We've assembled ten great tips to help you become a become your koi's favorite face, even if they forget your name. 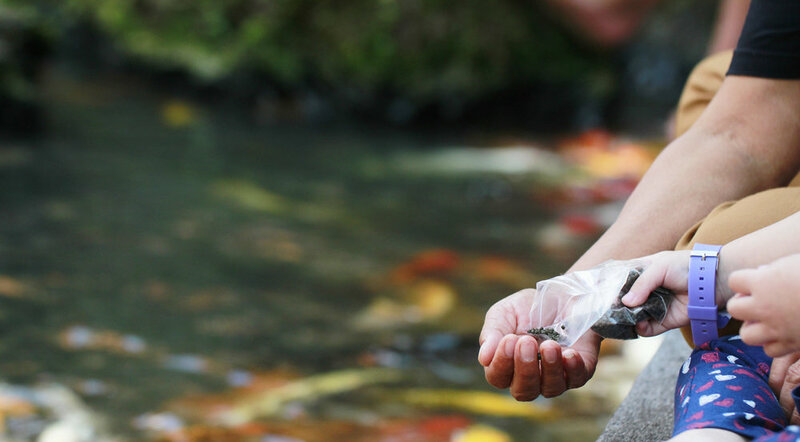 If you liked these tips, keep reading to learn about some of our favorite things to feed our koi fish in order to keep them healthy and strong. 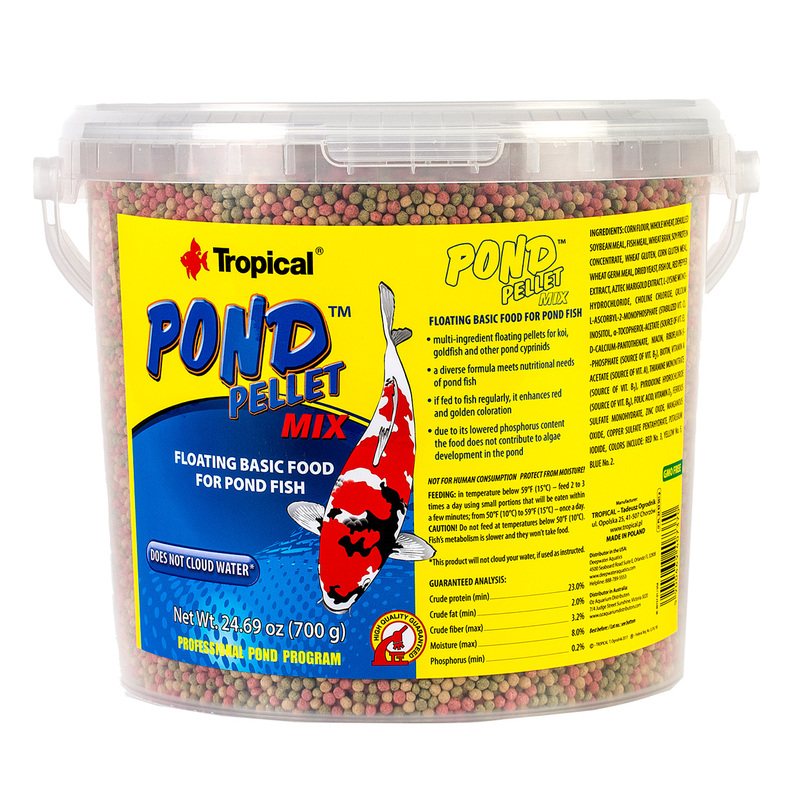 If you’re looking to buy koi food in large quantities to save money, check out this 11-lb bag of your run-of-the-mill, all-season, tropical-colored pond pellet koi fish food. Made with mostly plant and some fish-based proteins. 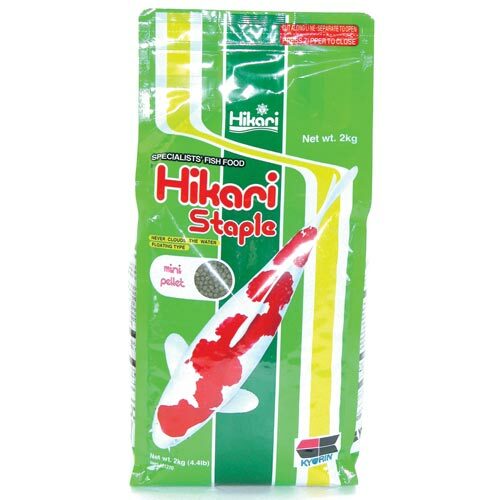 High in stabilized vitamin C, Hikari Staple helps provide your fish with resistance to stress and immunity to infectious disease. If you're looking for the best diet for your koi fish and pocketbook, this is likely it! 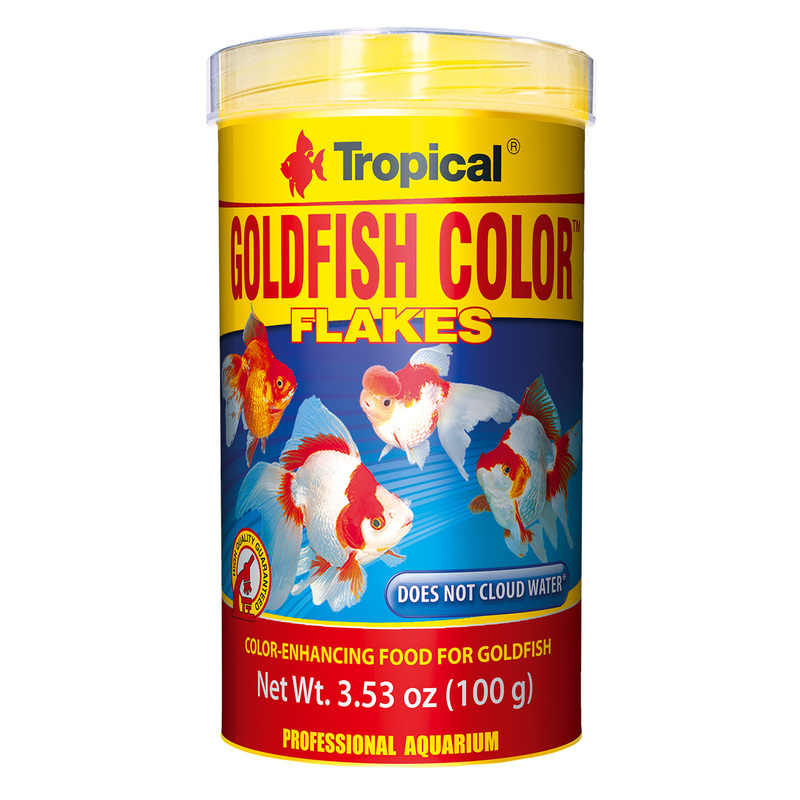 Even smaller still, these Tropical Pond Flakes don’t cloud your pond water, and their grain-based formula is perfect for small species of pond fish and young fish like goldfish, koi, golden orfe, or golden tench. 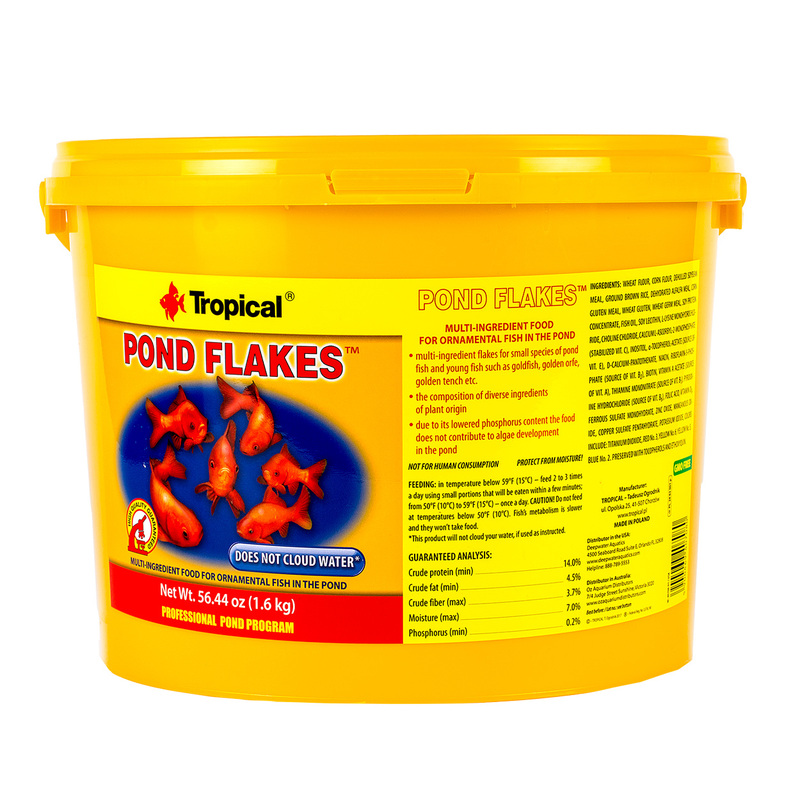 This flake food is ideal for all pond fish. It keeps pond water clear and clean. This food features a high-quality protein and a stabilized multivitamin, which is part of what makes it a premium product. 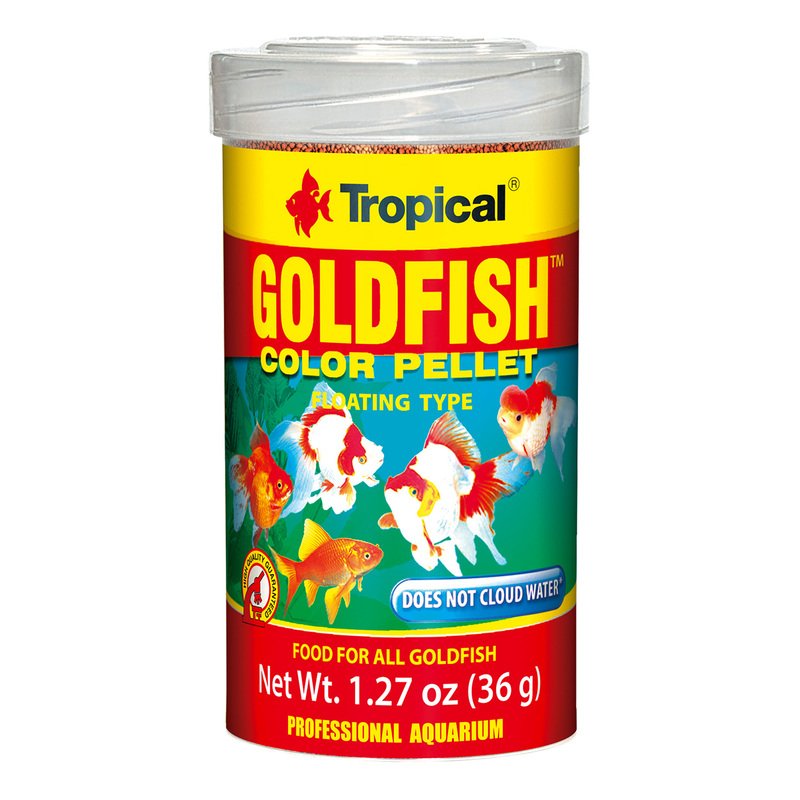 These baby food pellets are good for fish over 1.2’’ (3cm) and claim to offer up both rapid growth for young koi and goldfish and superior taste. Personally, we’ve never seen either type of fish be picky eaters at all. 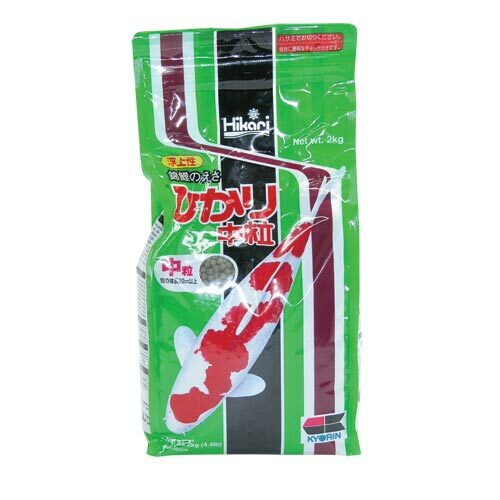 This is a 1.5lb bucket of your good old-fashioned koi fish food. This brand promises to make the red and gold coloration of fish stand out. 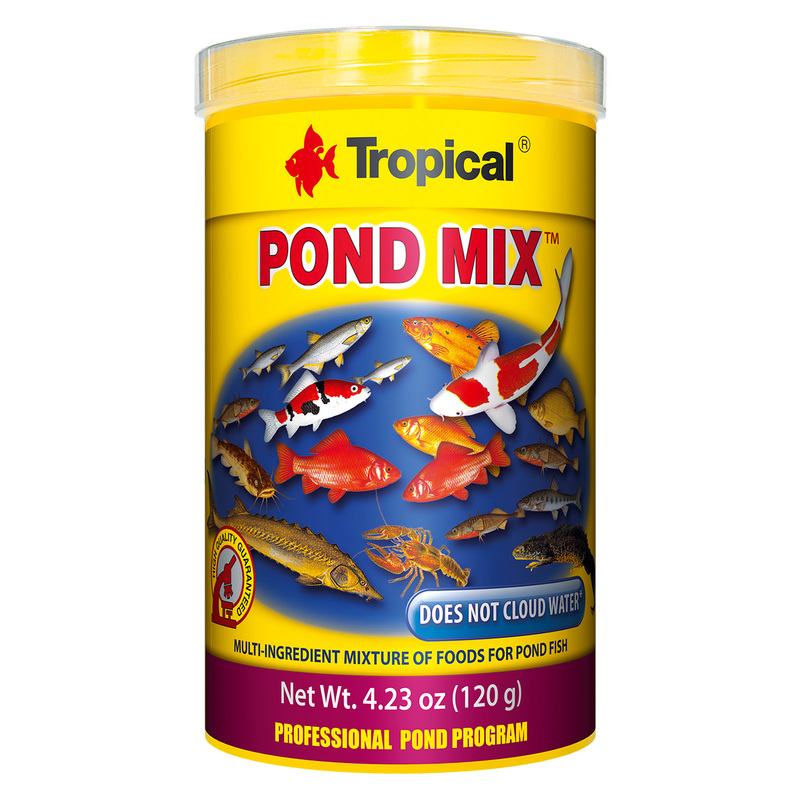 Also, its low phosphorus formula helps keep algae from forming in your pond. 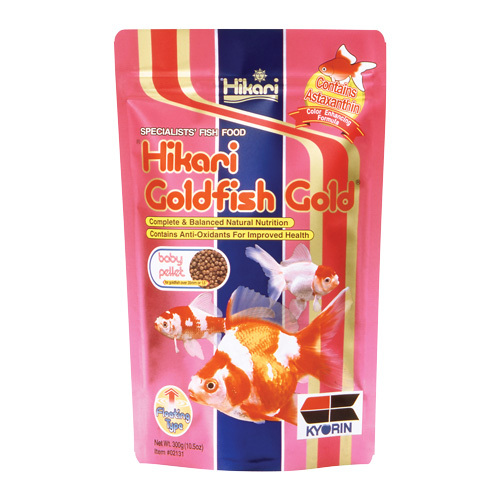 Hikari is an affordable daily food for koi and other pond fish. It’s high in stabilized vitamin C which supports healthy immune systems both in humans and in fish (who knew!?). A great koi food for any budget. Krill are like tiny little shrimp, and koi seem to love them just as much as humans like shrimp. They’re fortified with vitamins and make a wonderful treat for any koi. They’re especially good for hand-feeding to your fish. This 3.53 oz. 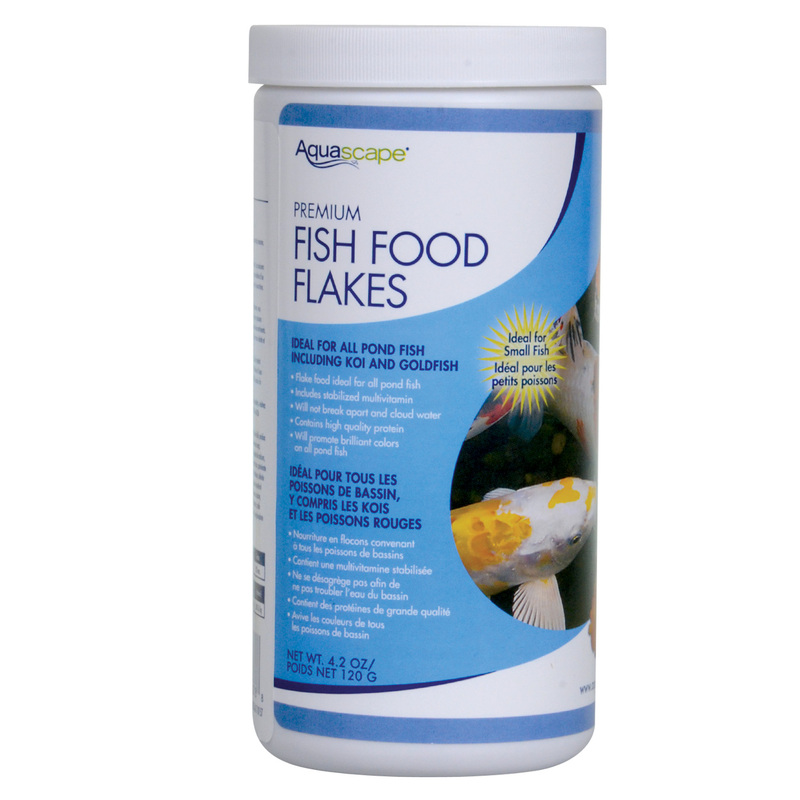 container of koi and goldfish flakes is the perfect companion to a larger bag or bin of food because you can reuse the container instead of having to always mess with the larger container. 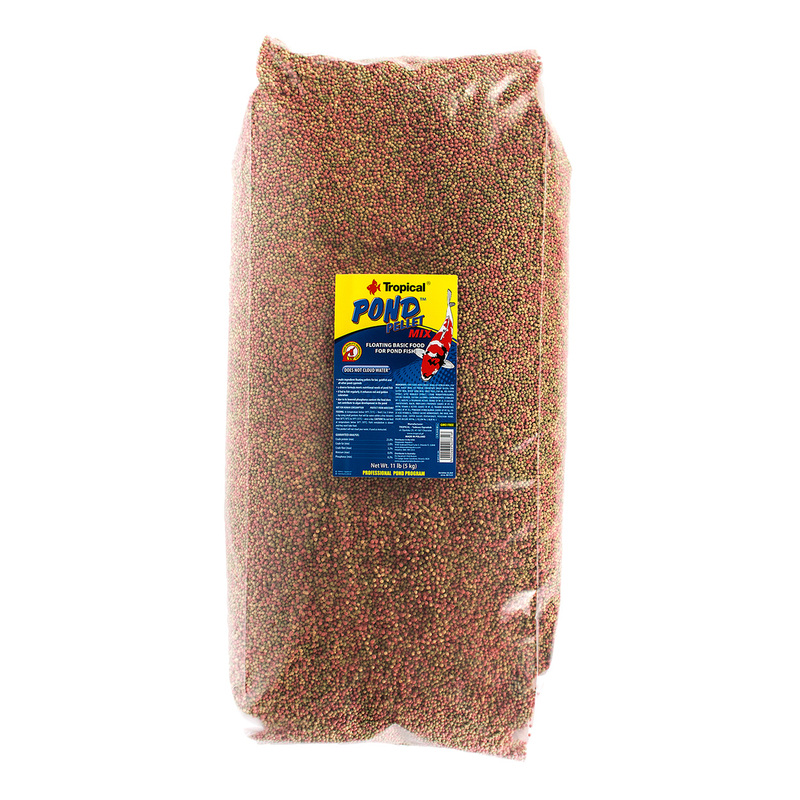 Similar to the smaller sized pond flakes, this is a little version of the same everyday pond pellets featured above. Store one directly in the pond area so you don’t have to go back and forth to your garage every feeding. 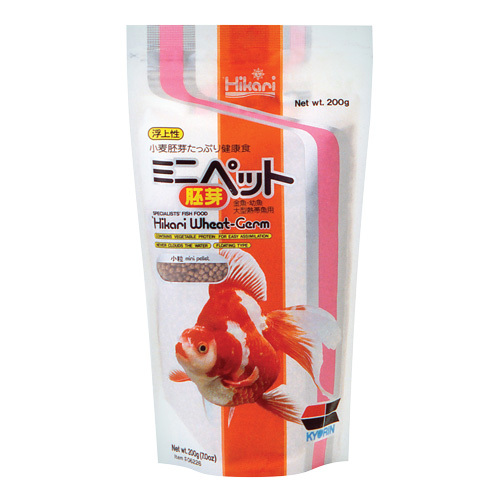 When water is colder or anytime you want your koi food to be more easily digestible, this wheat-germ formula from Hikari is the way to go. This formula is also especially high in Vitamin E and stabilized Vitamin C.
At 1.27 oz, this is what we call the emergency food supply at our house. Perfect for when you put off ordering more koi food because life is super busy but then you still feel like you should go out and feed the koi fish.